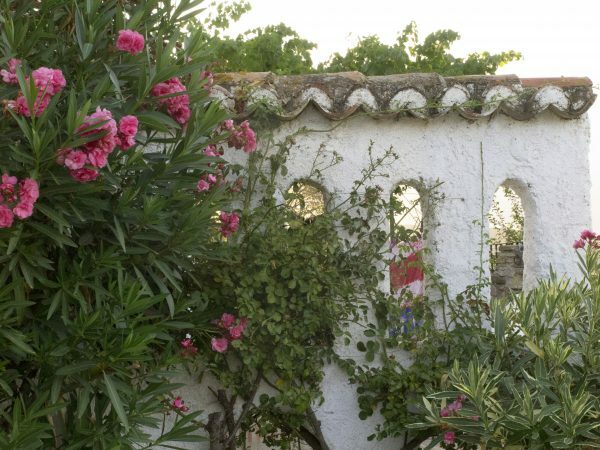 Garden ideas picked up from holidays abroad have inspired garden designers for years. Every year, there are several award-winning RHS show gardens based on places we visit, from Provence to the Yorkshire moors. Some garden ideas will travel better than others. There will be a few that are like that bottle of retsina – so delicious in the taverna on the beach, but tasting of paint-stripper once you get it home. 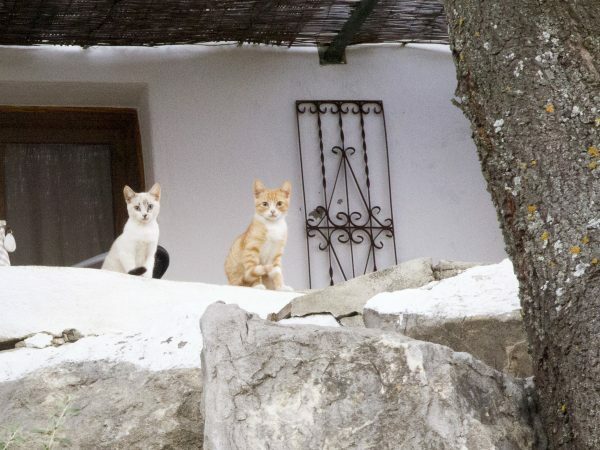 ‘Do you really think that’s a good idea?’ These stray kittens adopted Hugo and Anna. They’re clearly astonished to find someone up and taking photos at dawn, when most people are sensibly in bed. And I like the idea behind them – hanging an ornamental window grille on a blank wall rather than over the window. 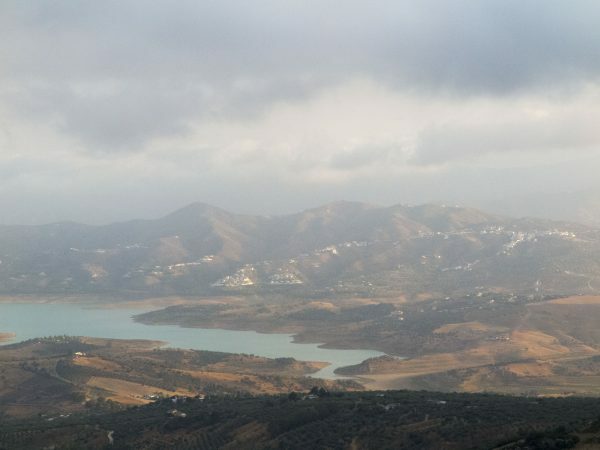 But I recently had a short break with my brother, Hugo, and sister-in-law Anna in their house in El Canuelo, a small mountain village, near Periana in Spain. I spotted lots of ideas that I loved for their sheer exuberance and use of materials. Some were crazy (at least for Northern hemisphere gardens). Some were perfectly sensible garden ideas. I leave it to you to decide which is which. 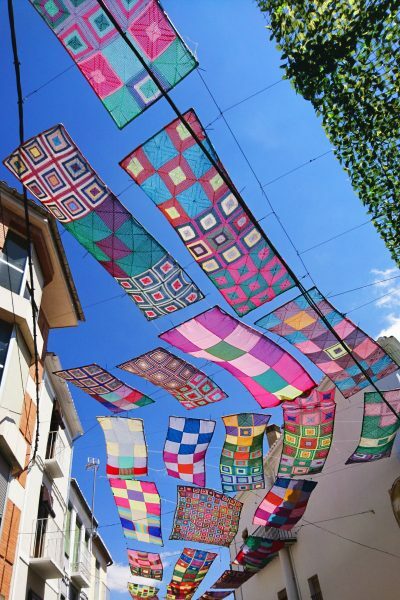 There is a street in Alhama, Andalucia, which creates shade by hanging crocheted mats between the houses. A variation on the tasteful cream sail – hang an all-weather crochet mat out to shade your terrace for the summer. And it’s great recycling – you can crochet old plastic bags! I googled ‘crocheting with plastic’, and discovered a whole world of crocheting with recycled strips of plastic bags. It’s known as ‘plarn’ and is easy to make yourself. There are lots of YouTube videos about crocheting with plarn, many of which are about making bedroll mats for the homeless. I couldn’t find ‘crochet your own sun awning’ anywhere, but you may be handier than me and be able to work it out for yourself. The same street last year. 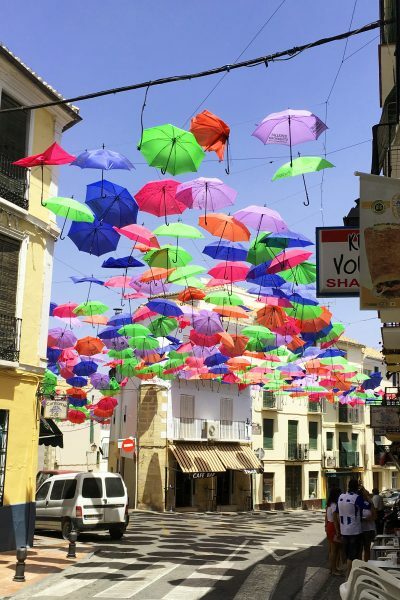 They used brightly coloured umbrellas/parasols in netting to create shade. Not the most resilient of treatments – this was taken towards the end of the season, when quite a few umbrellas had clearly blown away. There are quite a few pictures on Pinterest showing streets in Portugal with this treatment. 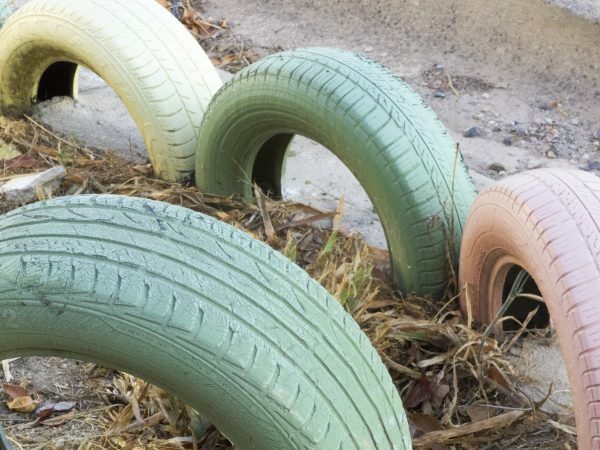 Recycle car tyres as border edging… I particularly love this one, because the car tyres have been painted in pretty pastels. That seems so counter-intuitive, but it’s great. 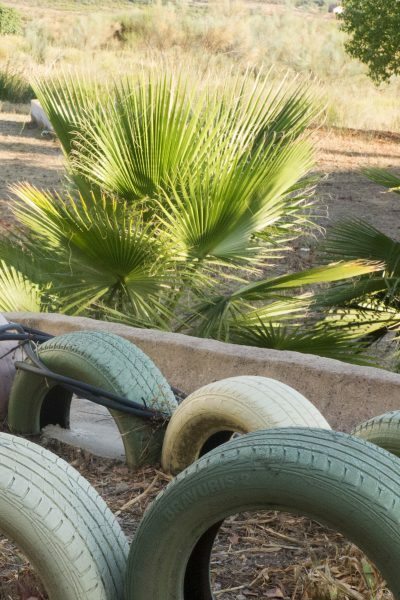 Car tyres, sliced in half and buried in the ground as border edging (the border itself had just been cleared). They are painted duck egg blue and green, a soft pale pink and cream. You can see the colours a bit better here. This treatment could be good in an allotment and it also gives the plants lots of support. Pot stands improve drainage. Sometimes they are too effective, and the pots dry out. But if you have plants like pelargoniums or succulents, then a pretty pot stand will be prevent their roots from sitting in water. And so much more attractive than pot feet. 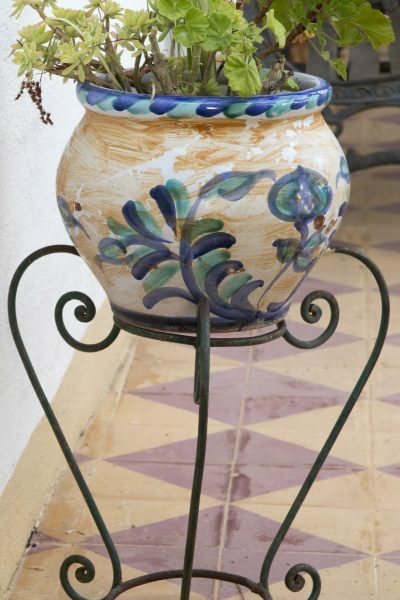 I also like the way the colours of this pot echoes the floor tiles. 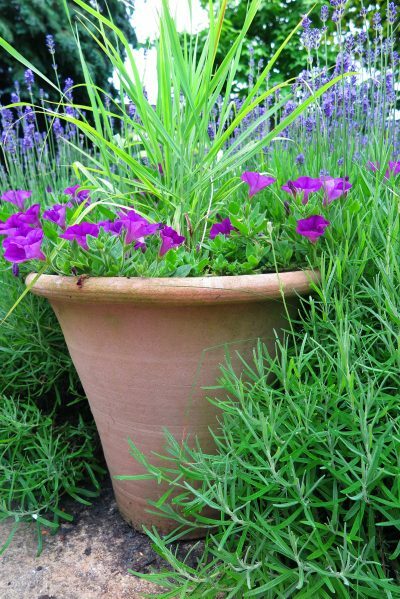 I think it would be great to see a return to patterned pots – but they do need to be good quality. This is the sort of idea that might not work so well in a Northern hemisphere, but I do love the use of colour outside in Spanish houses. It’s both exuberant and controlled – colour is part of the architecture. A yellow paint ‘skirting board’ harmonises with the tiles and really makes this terrace area at the Bar El Canuelo work. Note that the step risers are painted in the same yellow. More painted walls at Bar El Canuelo. I love the painted frame around just half the window. Hugo doesn’t like the blue-ish tinge to the solar lights he bought for his new cactus and succulents bed. So he has spray-painted the lights yellow. He also reduce the height of the spike – when he bought these solar lights they were supposed to stick up above the ground. 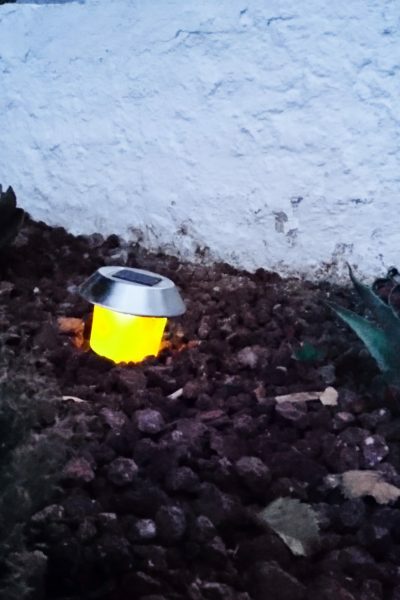 Change the colour of your solar lighting by spraying it with paint. This has to be one of my favourite garden ideas from Spain. 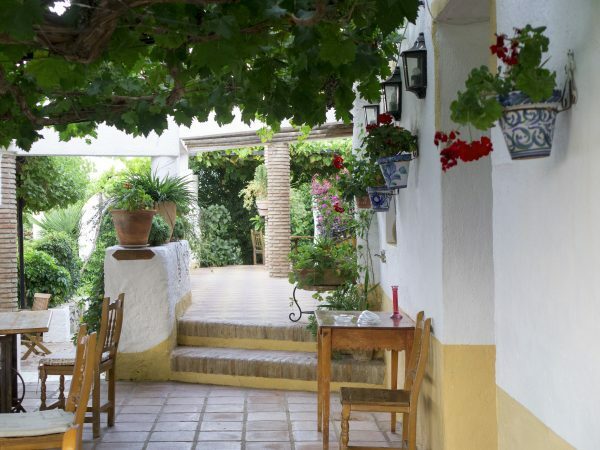 I just love the idea of someone staggering down the path (see photo below) when they’ve had a few….especially as there is no handrail – possibly another quite Spanish touch. I think this looks beautiful, but it is quite definitely prickly. 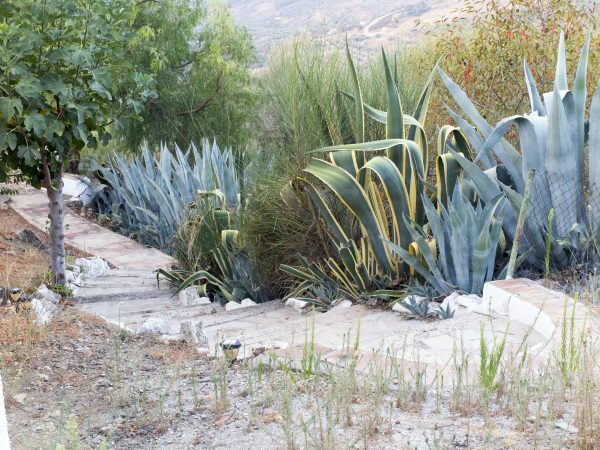 A front garden path and steps, lined with agaves. Striking but prickly! 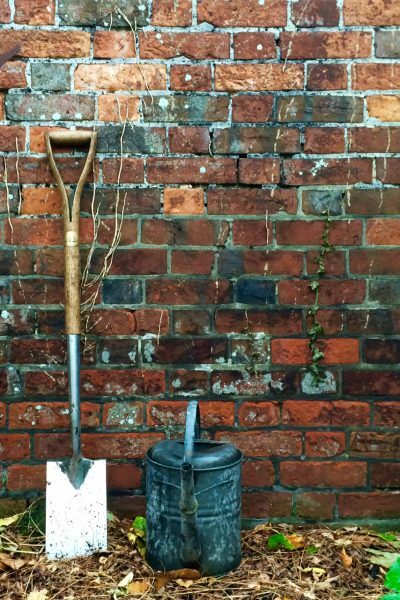 Pots on walls – don’t forget safety and drainage! 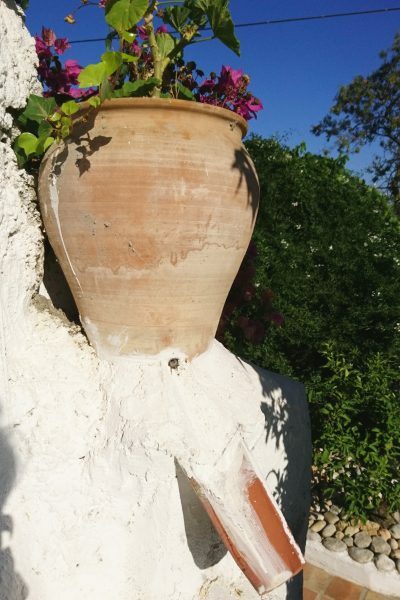 If you have a pot on a high wall, it may be blown off (onto someone’s head). One solution is to cement the pot onto the wall, but that will prevent it from draining. Here at Bar El Canuelo, they have drilled a hole in the side of the pot, and added a small drain. Pot cemented onto a wall, with a drainage channel made of a piece of local roof tile. 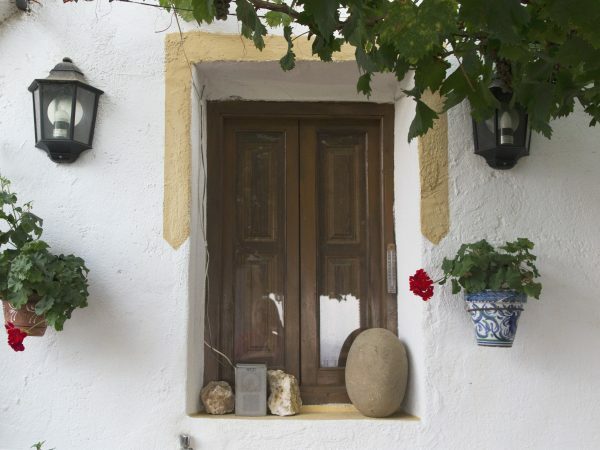 I love the Spanish use of pots on walls, especially as the pots themselves are often so beautiful. 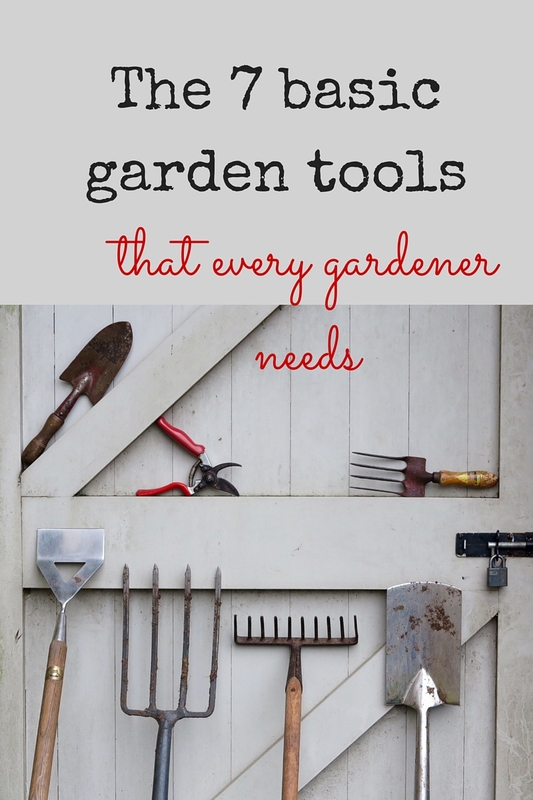 I think this is something that could work elsewhere, especially as ‘indoor gardens’ and houseplants are now gaining such popularity. 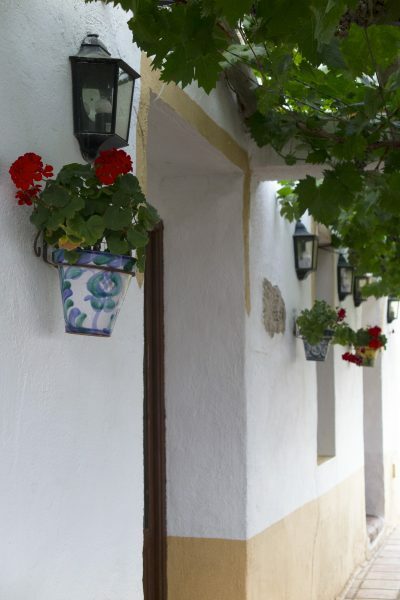 The Bar El Canuelo with its traditional Spanish wall pots. So pretty! I love this pot. Be aware of watering issues when you hang pots on walls – you don’t want water trickling down the wall. 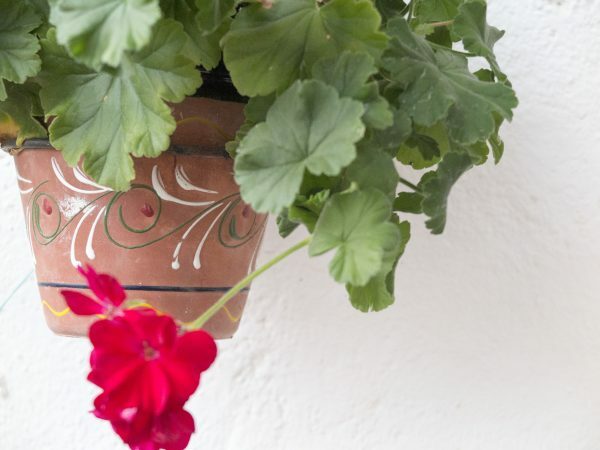 Also hanging pots dry out more quickly than pots on the ground, so choose plants, such as pelargoniums, that are happy with drought. Now you may think that this is a ‘hot countries’ only idea. But our front door in Kent gets baked by the morning sun, and the paint cracks within months of re-painting. We can see that there are fittings for a curtain rail just above the front door (on the outside of the house). I believe these were probably common in Victorian times, but I’ve never seen a photo of an English door protected by a curtain. The curtain hung over this front door protects the paint on the door from hot sun and wind. It also insulates the house – a good idea for Northern climates? It’s a great idea, but I’m not quite sure….it would probably get quite muddy in winter. 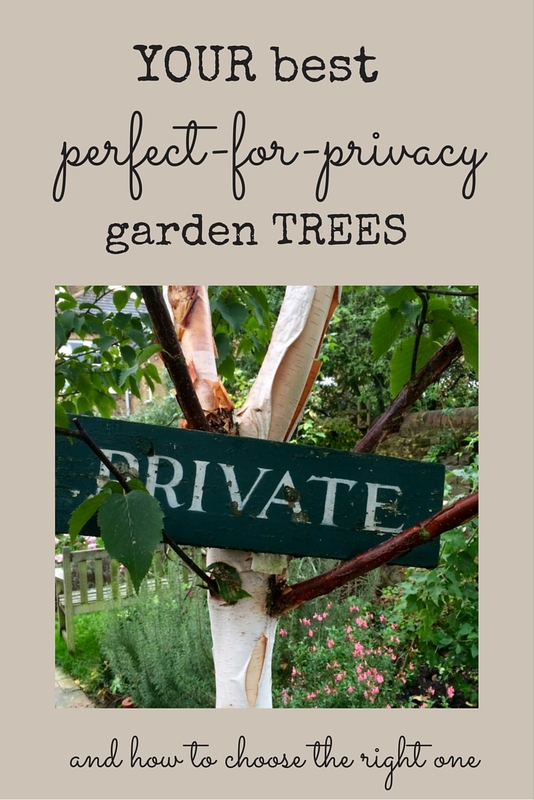 Effective garden ideas: a screen with large holes in it…. 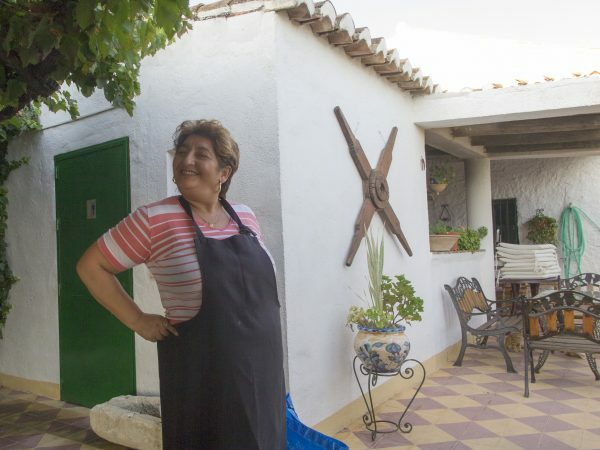 Hugo and Anna’s house has one next-door neighbour, and they share a continuous terrace. Thick walls and climbing plants – but this privacy screen has large ‘windows’. But you can’t see the washing line on the other side, can you? I promise you – there was washing hanging up just on the other side when I took this. The garden screen is a thick white wall with large window holes cut in it. Once again, this seems quite counter-intuitive as garden ideas go – isn’t the point of a screen to prevent you from seeing anything? But holes mean that wind is broken up, and it also lets light in. Somehow this terrace feels completely private – it must be something about the thickness of the wall and the lavish planting. Paint gates and railings in contrasting colours. 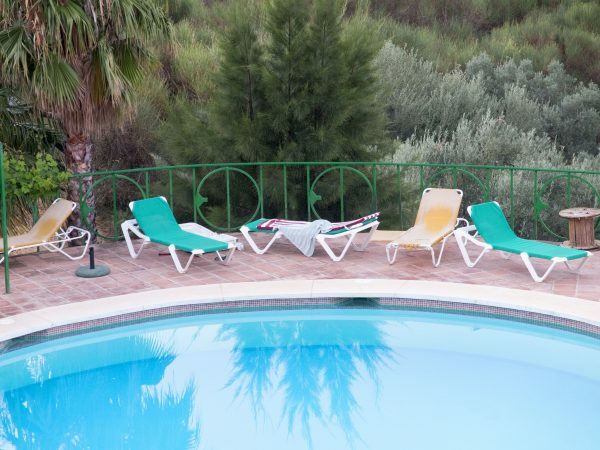 This leads to ‘casitas’ (flats or apartments) to rent overlooking the pool at Bar El Canuelo. I think the Spanish are much bolder about exterior paint colours. We’d be much more likely to paint gates and fencing like this all one colour, often either black or white. 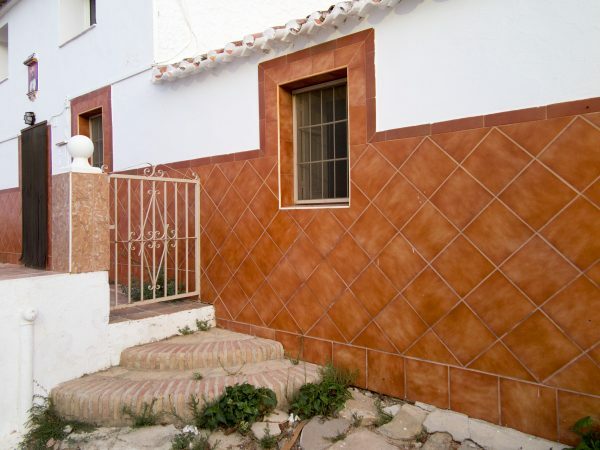 I think I probably wouldn’t choose to tile my house orange, but I like the way the gate, the stone steps and the orange tiling harmonise, and with the roof tiles too. Clip on weights to secure the tablecloth. 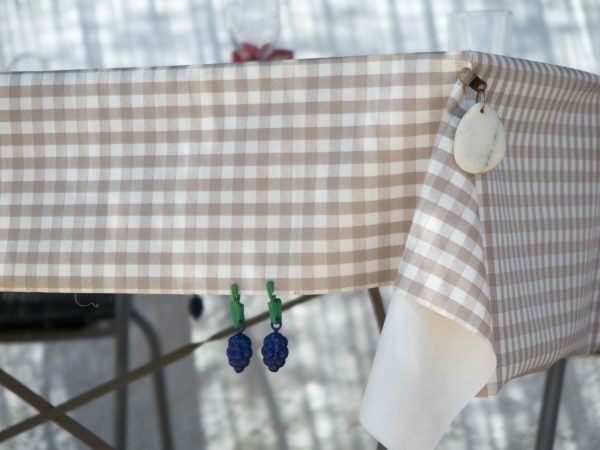 The tablecloth is on Hugo and Anna’s terrace, which is quite sheltered. But there is an occasional gust of wind, which can whip your supper away. This delightful Spaniard was on her way to work, but found the time to exchange a few words, a smile and suggest a pose for the camera. 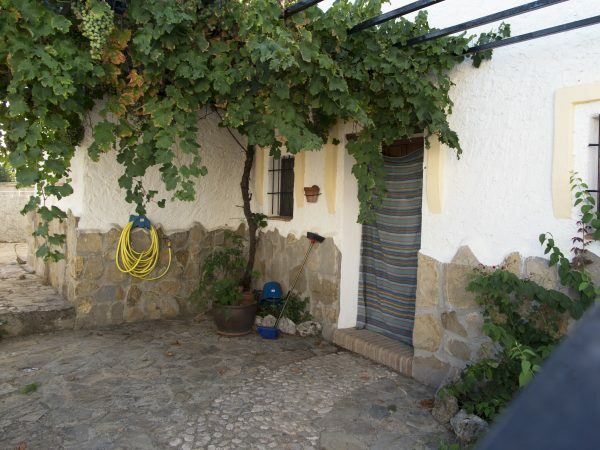 Hugo and Anna’s house Los Alamos , at Le Canuelo, is available to rent from Sawdays. The view from Hugo and Anna’s terrace just as dawn is breaking. And the El Canuelo shared pool, taken early in the day, before the sun got too hot. Next week’s garden ideas come from the amazing Jardin Agapanthe in Normandy, France. It’s one of the most exceptional gardens I’ve ever visited, and is a mix of French classicism and exotic fantasy. 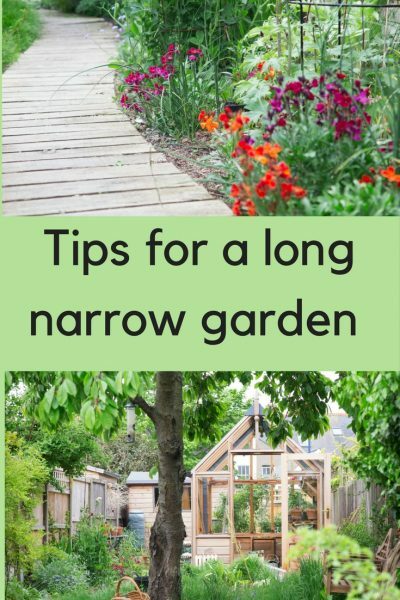 To get the Middlesized Garden into your inbox every Sunday morning, enter your email address at the top of this page. 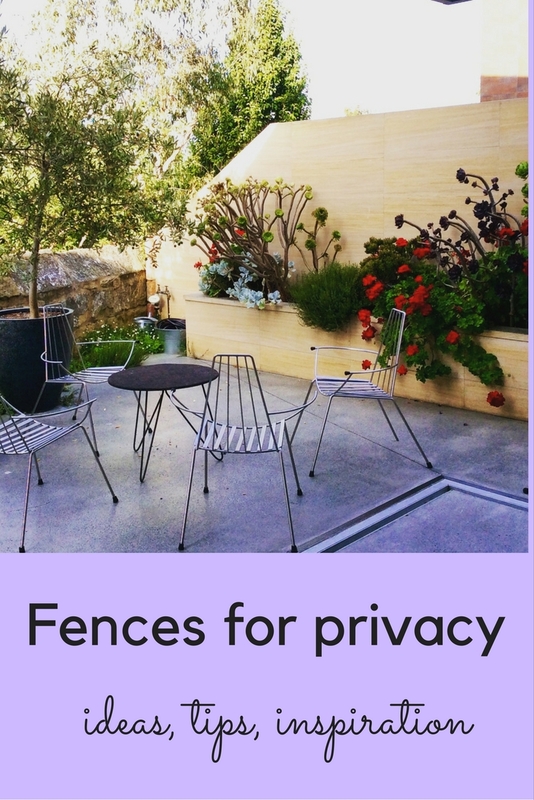 9 comments on "12 crazy (but fabulous) garden ideas from Spain"
Pingback: New directions in garden privacy screens – user's Blog! I have to say, this article really did cheer me up. I love the colours, I love the ideas. I think it’s great how people can take an everyday object and turn it into a garden accessory. Thank you! It was such fun to do. I throughly enjoyed your Spanish garden tour. Some very creative ways of adding color and whimsy. I think my favorite is the hanging umbrellas. 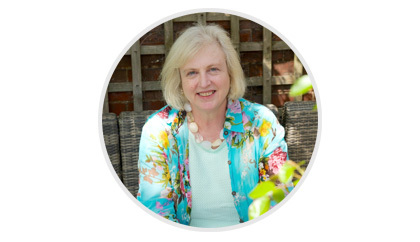 Thank you – it was such a fun post to do, and I love the exuberance of Spanish style. 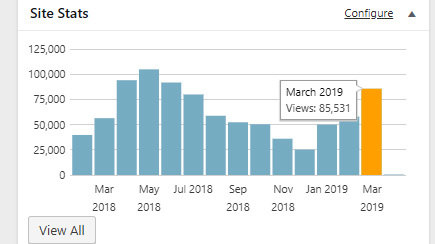 A fun post Alexandra, especially their use of colour and it’s not just for sunnier places, colour is great anywhere – let’s encourage people to use it much more. 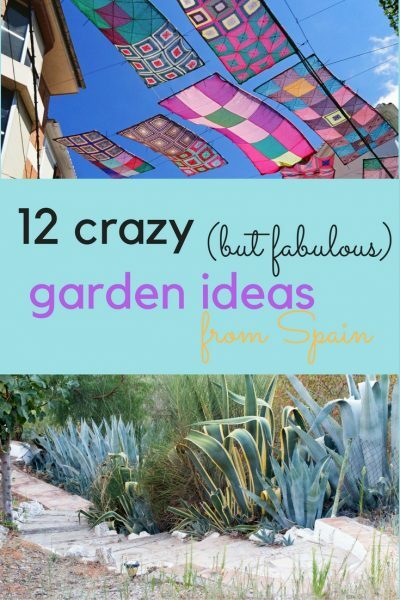 Pingback: 12 crazy (but fabulous) garden ideas from Spain – user's Blog!